An excited koala in Australia really wanted to hitch a ride. Ebony Churchill posted a video of the little creature chasing down her four-wheeler at full speed. 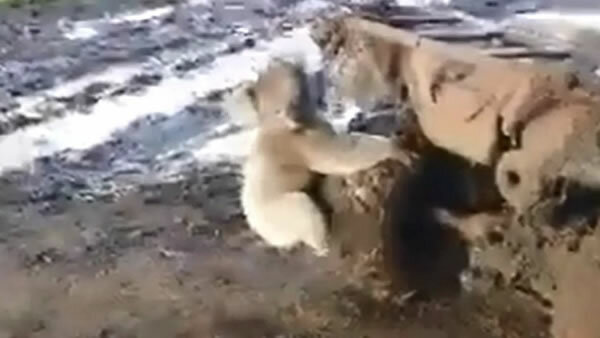 When she stopped, the determined animal climbed on the big tire. Churchill joked after the incident, saying her fear of the koala has subsided and she calls it a "pretty cute fluff ball."